Welcome to the JVNP 2.0 Update featuring a JV request courtesy of fellow JVNP 2.0 Partner T Harv Eker (HEI – Don’t Believe A Thought You Think: The Greatest Secret To Life Webinar launch affiliate program JV invite), Buzz Builders (Vladimir Ribakov – Forex Libra Code launch, Brian P Moran, Todd Brown + Tom Beal – 12 Week Mastery pre-launch) and More … in Today’s unleash your inner power edition. Fellow JVNP 2.0 Partner, on Thursday, September 8th we’re kicking off promotions for our BRAND NEW web class, Don’t Believe A Thought You Think: “The Greatest Secret To Life”. This is an 80-minute, SUPER content rich and controversial webinar that will help viewers identify the one source that causes more or less success, more or less happiness, better or worse health, better or worse relationships and practically every single result in their life. We have some BRAND NEW swipes ready for you…and I think you’re going to LOVE them. Your emails will be sending your visitors directly to our webinar registration page. 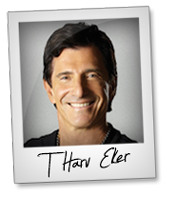 If you’re interested in promoting this web class, create a Harv Eker International Affiliate Program account here (if you’re not already a HEI affiliate) then please reach out to Susan at affiliatesATharvekerinternationalDOTcom to get registered for the new promotion. We’ll get you all set up with your unique links and swipes. The paid program that we’ll be offering at the end of the webinar is called: Secrets Of Inner Power: “How To Master Your Mind, Grow Your Character, And Succeed No Matter What”. The price point is $395 and you’ll be rewarded with 50% commission on every successful sale! Thank you so much for your support. This is going to be an awesome class that will help change A LOT of lives! P.S. We suggest you send a minimum of 2 emails to the webinar registration page. We have everything ready for you, so join the HEI Affiliate Program, email us back and get registered early, that way you’ll have ample time to get prepared on your end! P.P.S. Once you’re on board, we will also be sending you additional swipes next week for the replay of the class AND price increase emails. WOWZA… Don’t miss the relaunch of my blockbuster Five-Figure Funnel Profits on September 1st! Earn up to $68.50 EVERY click on a proven-to- convert sales funnel. Hit the JV page, grab your link, copy a swipe and let the profits roll in. Thomas Owen – Five-Figure Funnel Profits 2016 JV page. Textbook Money is a complete system that includes both the software and training that allows literally anyone to make money online by arbitraging textbooks. We are seeing consistent 16% to 22% Conversion Rates. Average Attendee Value has ranged between $180 and $225. Make up to $800 per sale. Proven successful High Ticket Webinar Affiliates, reply to this message for JV details or email jvnotifyATgmailDOTcom. Fast Easy Commissions. The Biggest Forex Launch Of 2016. Vladimir Ribakov’s Forex Libra Code. Brand new $997 physical product – 30% commission. Prelaunch starts Tuesday 30th August and Release Day is September 6th . We are known for making affiliates boatloads of easy money, come make some with us. Vladimir Ribakov – Forex Libra Code JV page. Installing WordPress, backing it up regularly & cloning/migrating WordPress sites is hard. This one web app makes it super easy (and all it takes is 1 click). Learn more -> Girithara Prakash, Vas Blagodarskiy + Dale Taylor – 1ClickWP JV page. Earn $998 per sale while your list thanks you for learning how they can get more done in 12 weeks than others do in 12 months. This will be the HIGHEST commissions earned for many in 2016. Become a 12WM Launch Partner Now => Brian P Moran, Todd Brown + Tom Beal – 12 Week Mastery JV page.